You can set a file to a read-only mode from the command line by using the command attrib and passing in the parameters like the read-only mode and the name of the file. 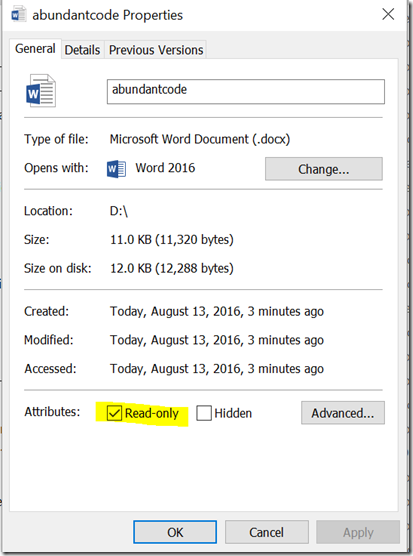 For example , assume that the name of the file is abundantcode.docx and you want to set the read-only attribute for this file that is stored in the D drive , you will enter the following command in the command prompt. 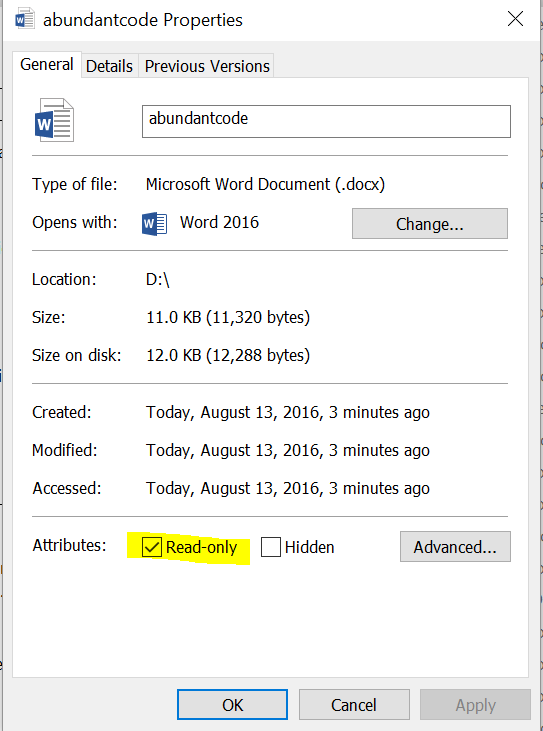 When you check the file properties , you should see that the file is set to read-only mode.